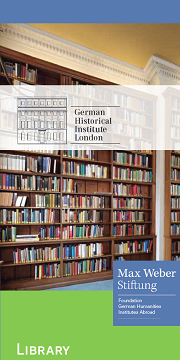 The Institute has a research library which is devoted primarily to German history from the Middle Ages to the present. Its holdings concentrate on modern German history (in German as well as in English and other languages), with special emphasis on the 19th and 20th centuries, in particular Germany between 1933 and 1945, the development of the two German states after 1945/49 and German unification after 1989. Recently published books can be made available to readers very quickly, and we invite readers to make suggestions for new acquisitions. The library is open to anyone who has an interest in German history, British-German relations or comparative historiography. As a rule, books cannot be taken out on loan. The library is closed on English public holidays. The library opening hours may also change or the library may be closed all day during events at the Institute. See noticeboard for details. Library cards, for which a passport photo and recent proof of address are required, are available at reception free of charge. 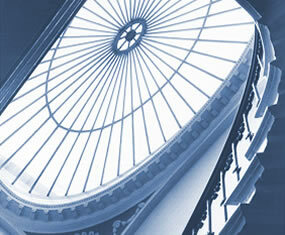 Guided tours of the Library are available before the Tuesday seminars and start at 4.30pm.